Join our Block of the Month programme and create a unique heirloom collectable at your own pace. 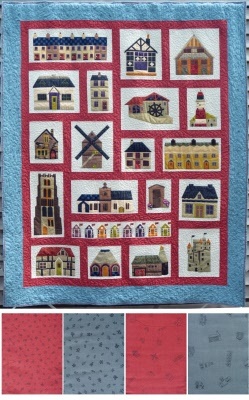 The charming quilt features fabric designed by Sue Trangmar and Sue Rhodes that is not available anywhere else in the world and was produced as a strictly limited run. This means that places on the programme are limited and the special fabric is only available through the programme. So if you are looking for a truly unique heirloom collectable, then the Block of the Month is for you.